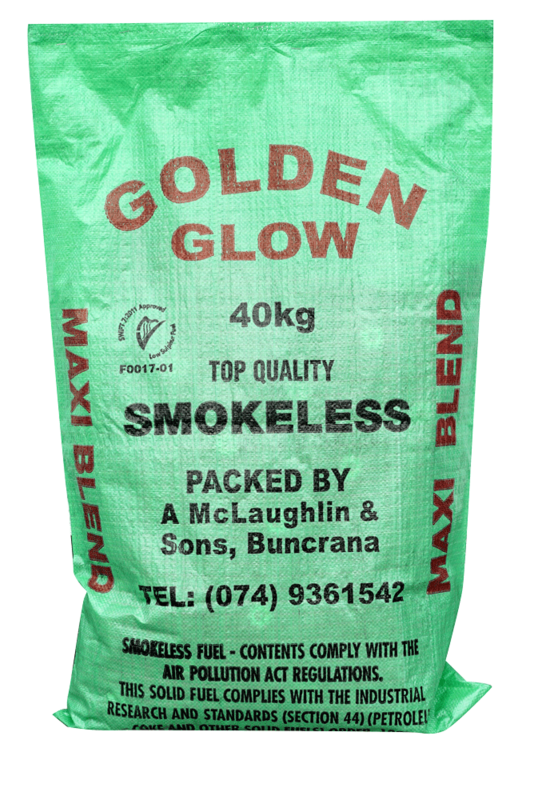 Irelands no1 smokeless fuel. 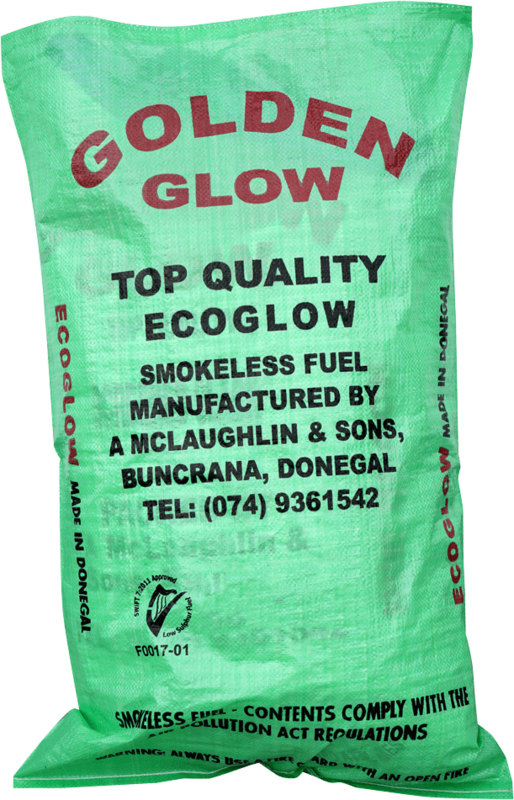 Eco-Glow is manufactured by Mc Laughlin’s specifically for all Irish smokeless zones. Highly recommended by most stove manufactures. 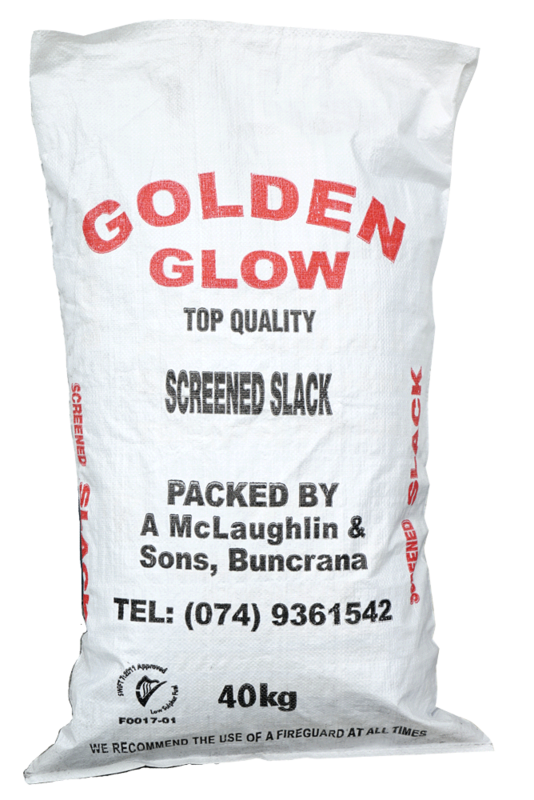 Eco-Glow is high in heat, low in ash, suitable for open fires, stoves, ranges and all enclosed fires. With full swift 7 approval Eco-Glow is the ideal fuel for all purposes. Highly recommended. Ecostove is rated best fuel for stoves. 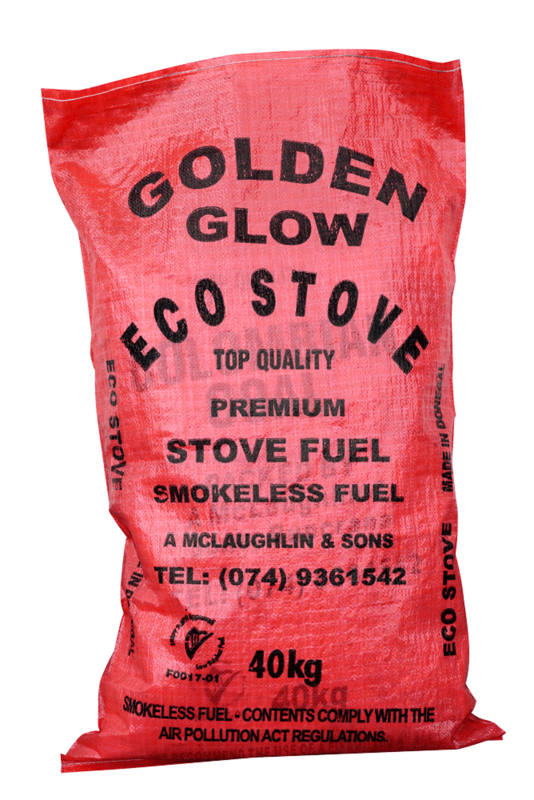 Ecostove is manufactured by “Mc Laughlin’s” specifically for stoves in Irelands smokeless zones. High heat, low ash with long slumber rates. Ecostove is Irelands only 100% smokeless fuel. Ecostove will never blacken the glass on your stove doors. Eco Stove is fully approved for smokeless zones with full Swift 7 Approved Highly Recommended for stoves, ranges, fire fronts. 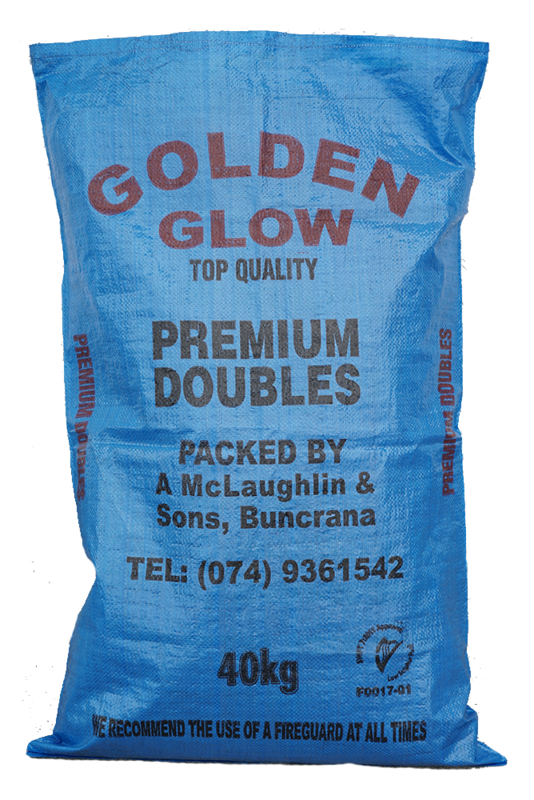 Irelands best quality coal. High heat output and low ash, makes our Colombian coal the ideal fuel for all purposes. 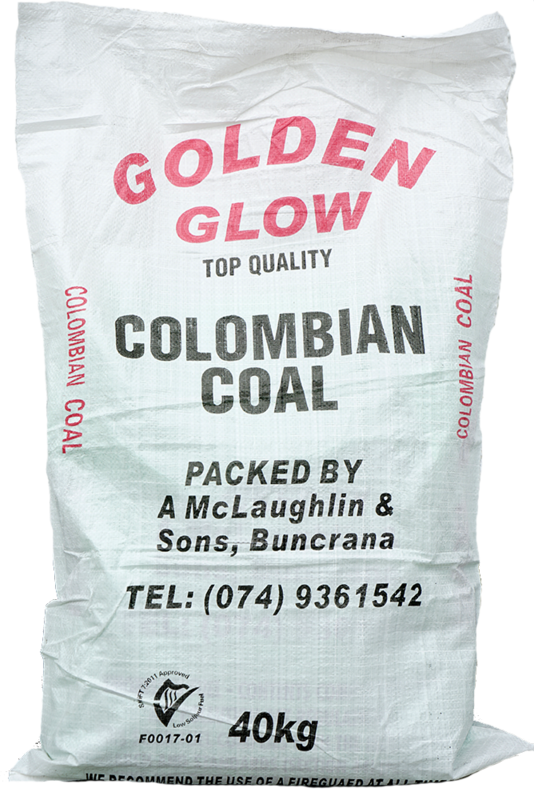 Mc Laughlin’s Colombian Coal is rated as Irelands best coal product. Comes with full swift 7 approval. Highly recommended. 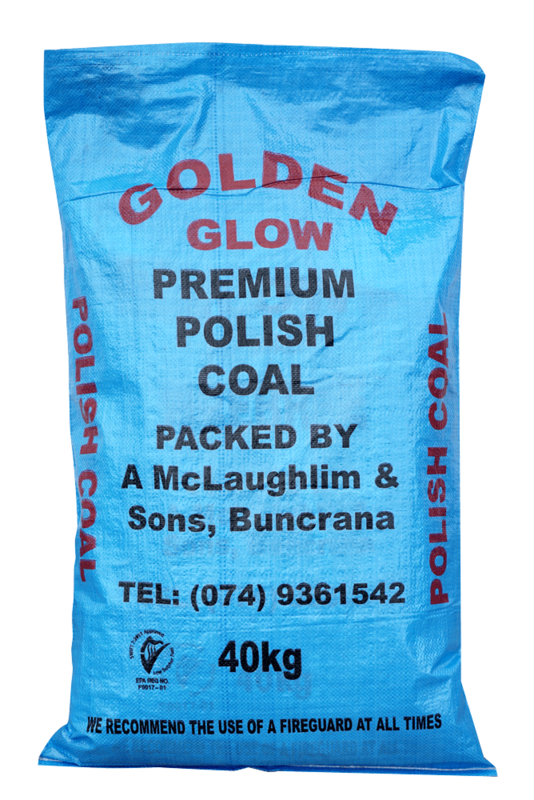 Top quality polish coal. Excellent product with high heat and low ash. Not for smoke controlled areas. Approved fuel with full swift 7 approval. Highly recommended. Top quality Semi smokeless fuel. Ideal for all purposes. Brilliant in stoves and ranges in non smoke controlled zones. High heat low ash and long burn rates. Smokeless fuel but at a lower cost with swift 7 approval. Traditional smokeless fuel for stoves ranges and enclosed fires. Swift 7 approved fuel. 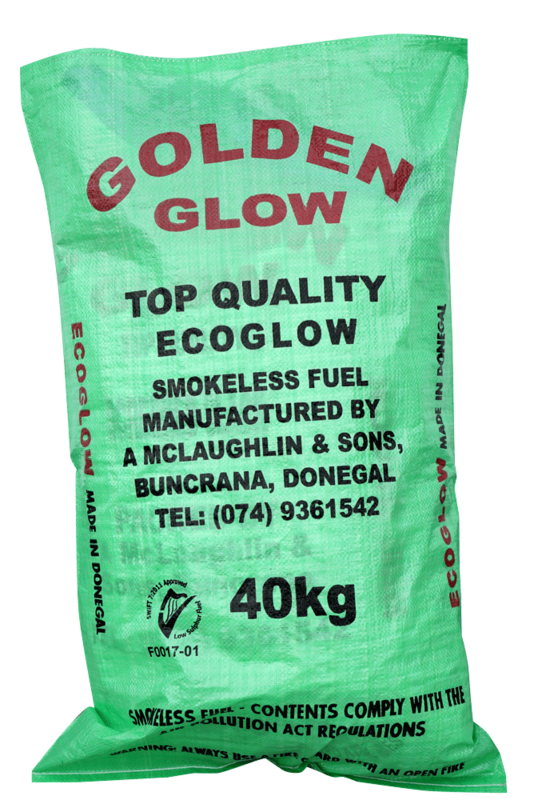 Long lasting fuel, higher in ash than Eco-glow or Eco-Stove. Blended Smokeless Fuel. Suitable for smokless zones. Maxiblend is high in Heat and low in ash long lasting fuel. Comes with swift 7 approval. Low cost quality fuel, swift 7 approved fuel. High heat and low ash make triple heat the perfect choice. High quality small pieces of coal. Ideal for backing up the fire on those cold winter nights. Swift 7 approved fuel. 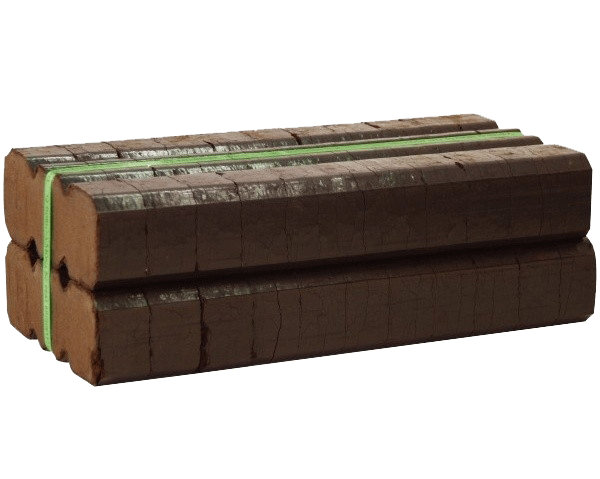 High quality briquette type fuel. Peat based product, for heating you home. 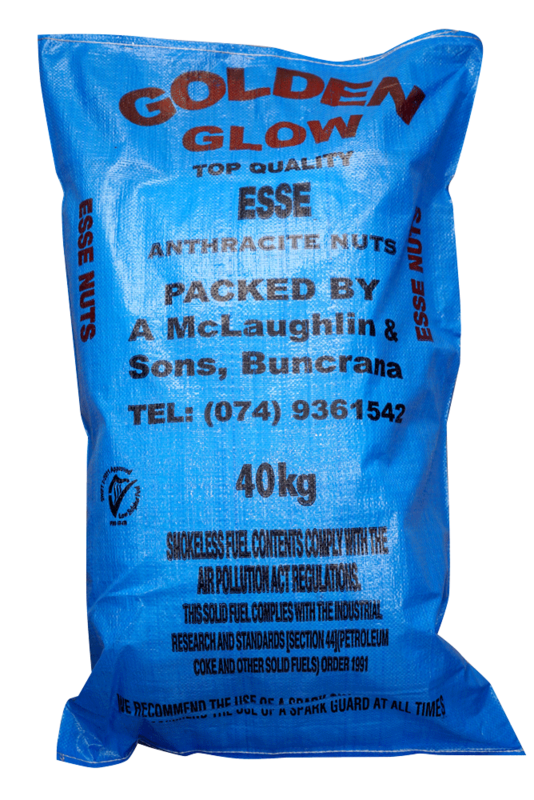 Irelands no 1 smokeless fuel now packed in handy 20kg + 10kg bags. High quality presentation. Ideal for shop and garage forecourts. A great addition to any fuel re-sellers stock list. Excellent product, well presented sells like hot cakes. 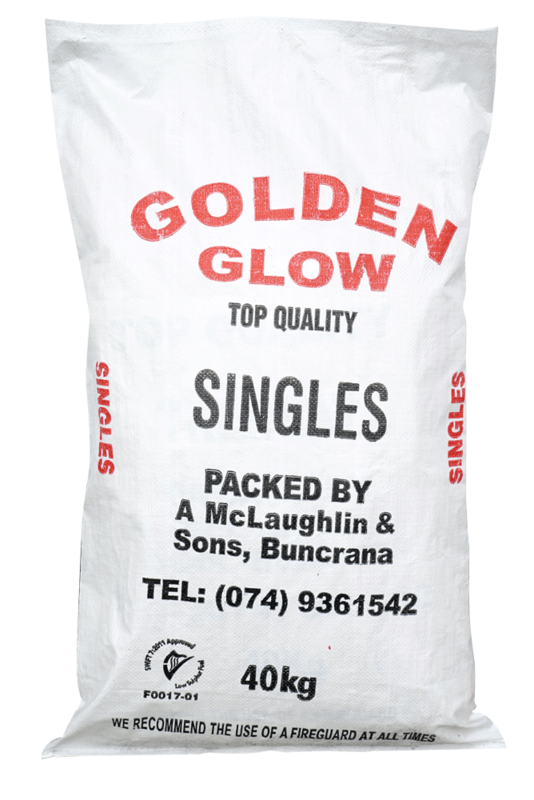 Ideal smokeless fuel as it is suitable for all purposes, open fires and stoves. Highly recommended. 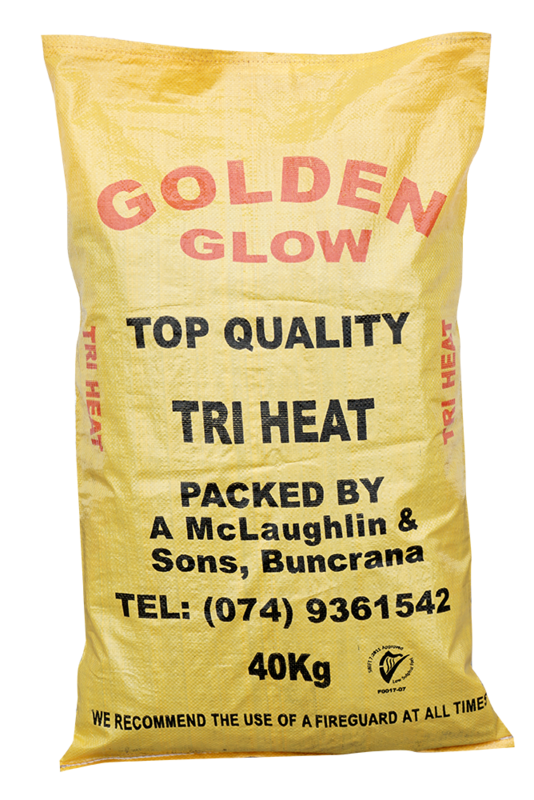 Irelands no 1 stove fuel now packed in handy 20kg bags. High quality product ideal for selling in shops and garage forecourts in all smokeless zones. Swift 7 approved fuel. Highly recommended. Top quality coal product. Small in size but an extremely good burner. Ideal for multi-fuel burners. High heat low ash with full swift 7 approval. Ideal fuel for all self feeding stoves. Top quality coal product sized perfectly for self feeders. Low ash, high heat and comes with full swift 7 approval. If you love your stove you will love this fuel. 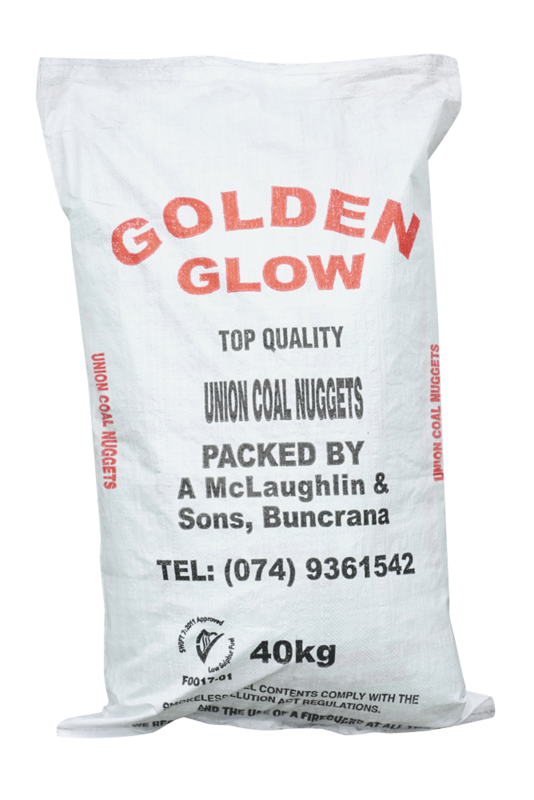 Only the best quality coal makes it nto A Mc Laughlins Golden Glow 20kg Coal bag. 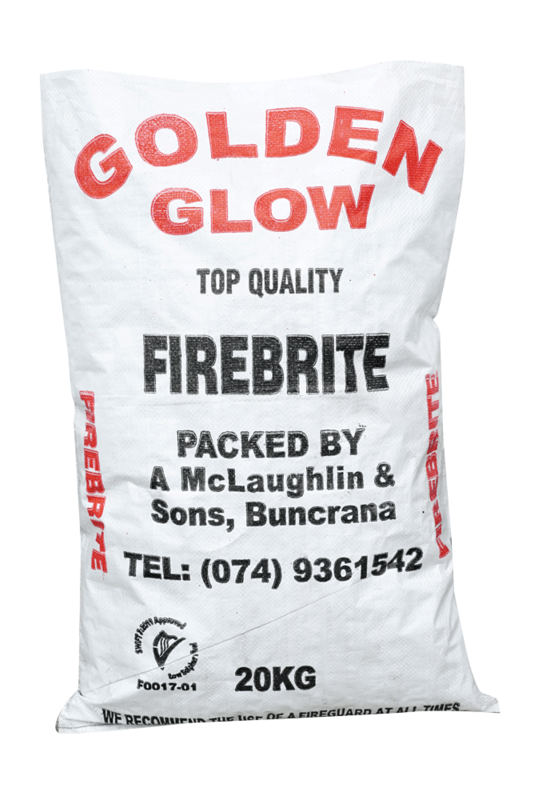 Excellent product, High Heat, low in ash and comes with full Swift 7 approval. Stocked by all leading re sellers. Deep mined high quality smokeless anthracite. 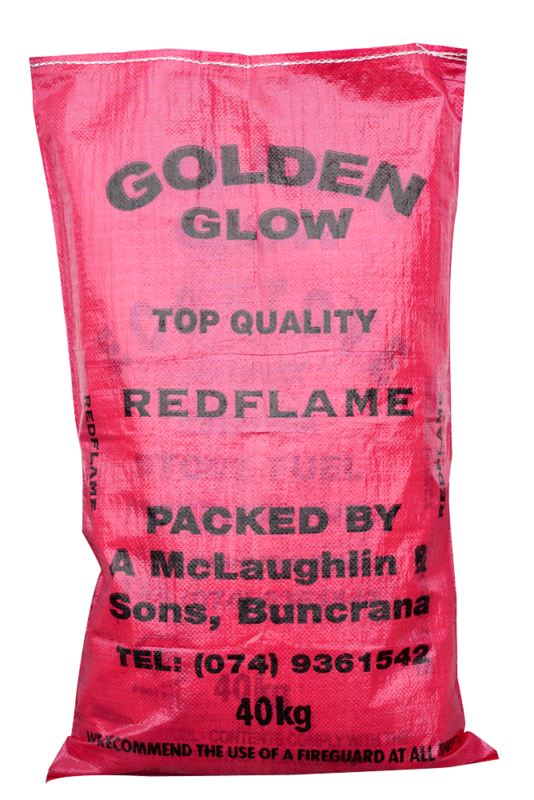 A long lasting high quality fuel that is recommended by most stove manufactures. Suitable for all smokeless zones. Swift 7 approved fuel.